Life with a Wiener Dog: Happy New Year!!! When I was thinking about what card I wanted to make for my first card of the new year, I wanted it to be something encouraging for 2017. That's when this image from Stamping Bella came to mind. I think we've all heard the saying "when pigs fly" as a reference to something that seems like it's never going to happen. With my body, I have gotten a little bit stronger. I was able to make this card over three days, however it took my parental entourage to help me get it done! I can stand up for no more than 2-3 minutes without being in pain and having to sit. On a good day, I can't walk more than about 20 yards before my back and my legs want to give out. So for me, a lot of things feel like they'll happen when pigs fly! I'll be able to walk a mile again when pigs fly! I'll be able to stand and cook my favorite foods again when pigs fly! I'll get to leave the house for fun instead of doctor's appointments when pigs fly! I'm praying for FLYING PIGS, baby! It may have taken three days and two helpers for me to make this card, but there was a time not too long ago that that too seemed like it would only happen when pigs fly! I sat up to color my Super Pig with Faber Castell Polychromos Colored Pencils, which are FABULOUS. I'll tell you more about them when you see them again. Because I'm new to them, though, it took me hours to try and make my pig's coloring super, but I did it (sat up and colored- you can decide if it's super or not!) So, in honor of 2017, I'm encouraging you, too, to follow this little piggy's advice and "never say never!" You, too, may be blessed with flying pigs in your life this year! I am entering Super Pig into several challenges! My card was based on this sketch by Stamping Bella. If you aren't familiar with Stamping Bella stamps, they are adorable! You'll be seeing more of their stamps on my blog this year. It won't even be when pigs fly!! 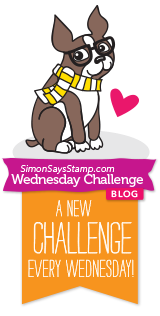 Several blogs are featuring challenges that include something "new" on your card this week. It could be for a "new" baby, "new" house or "new" craft supplies- my personal favorite. In my case, my new items are crafting goodies. 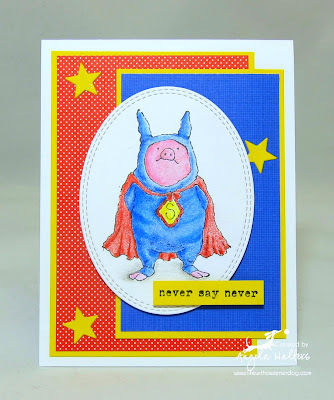 My pig stamp, star dies, and paper pads were brand new before I made this card. 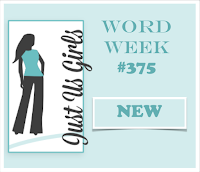 I'm entering my cards in the Just Us Girls #375 New Word Challenge, the Naughty or Nice All Things New Challenge and the Simon Says Stamp Wednesday Challenge: New Something. I wish you all a happy, healthy and wonderful 2017 where things that we all reach goals that we never thought could be possible. May we all have Flying Pigs in our future!! OMG this is cute and OMG you did it! This was the best and I am still chuckling. I use that line about flying pigs a lot and I have a handmade flying pig pin made by a potter here before they retired. Plus, I have a couple statues too. I am so proud of you and the coloring is just "porkfect" in his little outfit. Love all the papers and stuff as well! This really is a great card to welcome 2017! That pig is so cute, and love the colouring. Hope you don't have to wait for his real-life counterpart to be up and about more. 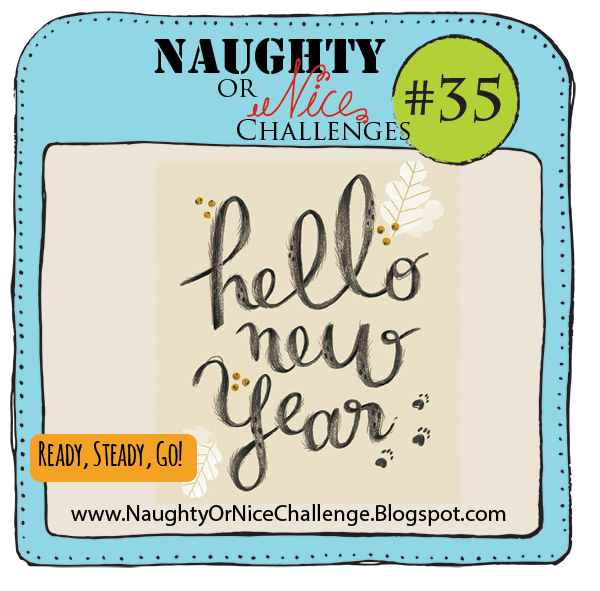 Thanks for joining us at Naughty or Nice Challenges! This is awesome ! such a fun card and i love how you have coloured him, really is such a fun card. I'm not sure what I love more, your adorable card, or your inspiring post! Here's to flying pigs heading your way! Thanks for joining us at Just Us Girls! Happy New Year to you too Angela!! What a cute card and so glad you are feeling more like stamping!! Praying each day gets easier for you. 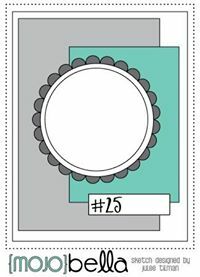 Love your card and the vivid color scheme. That pig's face has such a determined look ... definitely gonna fly! Nice coloring and shading on the costume, too. You and your entourage ;-) did a great job with this card.